Ideum's in-house Industrial Design team did a great job matching form with function with the new Colossus. 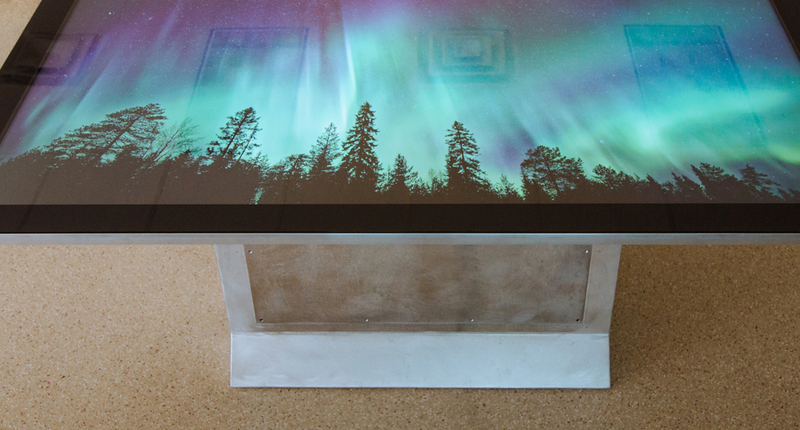 The fully redesigned Colossus touch table, with a 86" display, starts shipping next month. Ideum’s in-house Industrial Design team did a great job matching form with function with the new Colossus. 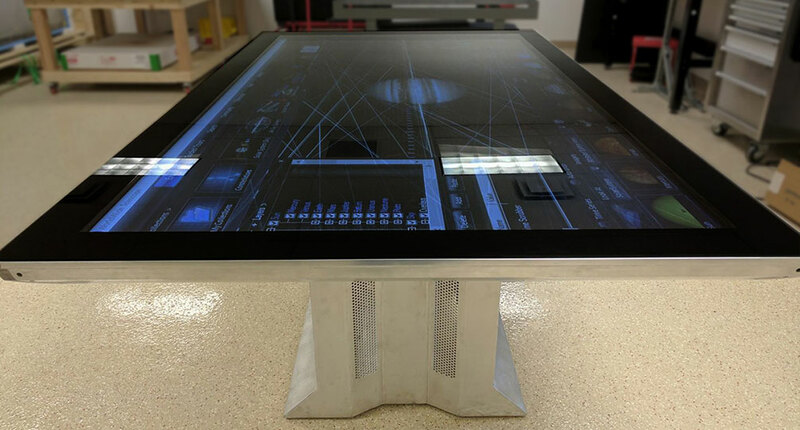 The fully redesigned Colossus touch table, with a massive 86″ display, starts shipping next month. Like its predecessor, this new version of the Colossus has a 4K Ultra HD display, is hardened for public spaces, and supports up to eight simultaneous users. We’ve updated the touch screen and the powerful integrated computer system in the table base. The overall table form factor is sleeker, as seen in such design touches as the crafting of a slimmer cradle for the top display that sheds inches from the previous design (it is now only 3″ thick). The original Colossus table can be seen at installations at: The Smithsonian Cooper Hewitt Design Museum, Smithsonian National Museum of the American Indian, and the Smithsonian National Air and Space Museum. The image above shows the final prototype of the new Colossus in raw aluminum. Models shipping next month will have our standard midnight black powder coat, but we can customize the Colossus in virtually any color. The Colossus ships standard with an Intel Quad Core i7 computer system, 32GB of RAM, (2) 1TB hard drives, and a dedicated NVIDIA GTX 1080 graphics card. 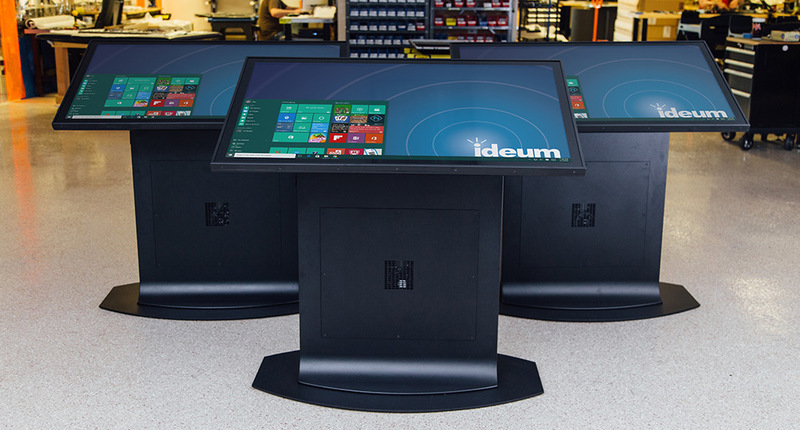 To learn more about Colossus touch table, see the Colossus product page on the Ideum website or contact our Sales Group.